Hello, my name is Sanj and I am the Branch Manager for the London Kings Cross branch. 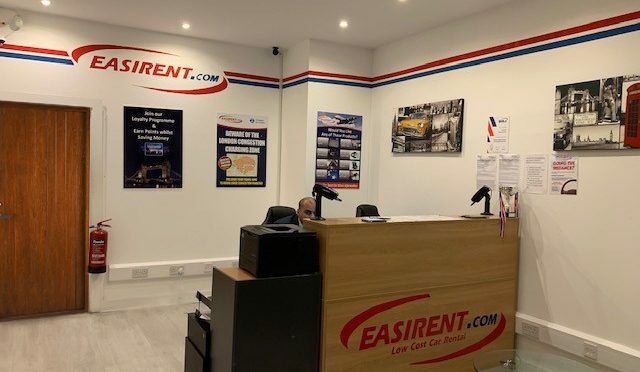 My team and I welcome you to London, the capital city of England where we have a super range of hire vehicles all ready for collection at our central London location. Arriving at London Kings Cross by train. Depart the train at Kings Cross Station. Walk south-west towards Pancras Rd/A5202 then turn left onto Pancras Rd/A5202. Slight right to stay on Pancras Rd/A5202 then turn right onto Euston Rd/A501 for 0.1 miles. Turn left onto Judd St, carry on for 0.2 miles. Arriving at London Kings Cross by bus. Most bus stops are in front of the station on Euston Rd. Look for buses that run on lines 10, 59 and 91. They drop off at Tavistock Square (N) stop. From there we are a three minute walk along the A4200 east. Dropping off your car at London Kings Cross, Please return the vehicle to RCP Car Park, 40 Bernard St, Bloomsbury, London WC1N 1LE between 05:00 hrs – 23:00 hrs. (Please note, the entrance to the car park is next to the Holiday Inn Hotel). For Out of Hours return, please park the car in the RCP car park, leave the token in the car and post the keys through our letter box located in the car park. Please note this branch is within the central London congestion zone. You will need to pay the congestion charge during your hire. You can do this here. For culture drive your hire car to the British Library, a unique opportunity to see every publication that has ever been printed in UK and Ireland with 150 million items, art work by Antony Gormely, and Eduardo Paolozzi as well as works of great historical such as the Magna Carta and the Gutenberg Bible. Events at the British Library include a talk today the 11th October by Biographer Hunter Davies about the letters and postcards written by John Lennon. Not far from the station is ST Pancreas Church drive there in your hire car to see the most expensive church ever rebuilt after the great fire. The structure of the building is a Greek Revival Structure with a Georgian influence in the interior. There are free lunchtime musical recitals and regular art exhibitions in the crypt. To the west of Kings Cross Station, across Pancras Road is ST Pancras International, the London Terminal for the Midland Mainline, Eurostar and high-speed trains to Kent. Kings Cross and ST Pancras are two separate Stations for interchange purpose. Hire a car and drive out to’ Keat’s House’, the home of England’s world famous poet. It was here John Keats lived from 1818- 1820 and wrote ‘Ode to a Nightingale,’ and fell in love with his next door neighbour Fanny Brawn; they ran off to Rome together where he died of tuberculosis age 25yrs. While in the area why not make the most of your hire car and head to the National Trust property Fenton House. This merchant’s house is considered to be a hidden gem of London, known for the walled garden. Enjoy the panoramic view of London from the top balcony. Hear beautiful music performed on early keyboard instruments; enjoy a game of croquet in the garden, or walk down and enjoy Hampstead Health. A short drive away in your hire car is the area of Primrose hill, a beautiful park lined area now known for its famous residence. One of the highest points in London, Primrose Hill is a great place to visit and see the Capital City, visit the shops and restaurants and enjoy one of London’s most sort-after areas. Euston Station is just a short walk away from ST Pancreas, the Southern Terminus for West Coast mine line and main transport hub with access to the underground. 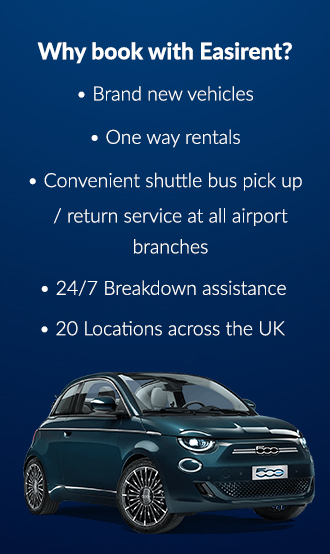 Hire a car and get around London to see the sights, such as Buckingham Palace, Houses of Parliament, Tower Bridge and the London Eye. Take the opportunity of visiting the State Rooms at Buckingham Palace this Christmas. Opening on the 22nd December until 3rd February, with their gilded ceilings and sparkling chandeliers, see the many paintings in the Royal Collection. 18 Montrose has launched with a fashion and lifestyle concept store on Stable Street. Focusing on fashion and lifestyle for men and women, 18montrose showcases clothing and accessories, complemented by books, beauty and grooming products. Waitrose has opened one of it’s largest London Branches at King’s Cross. The new store is just off Granary Square in a beautifully restored historic train shed. The store features a wine bar, cafe, juice bar, bakery and cookery school. St Pancras International – it’s station shopping, but not as you know it. Boutique retailers plus well-known high street brands now fill the brick arches in beautiful St Pancras Station. Recent arrivals include Whistles, M.A.C., Dune and Fortnum & Mason. You’ll also find Marks & Spencer, Boots, Hatchards, Hamleys and many more. King’s Cross Station – Accessorize, Kiehl’s, American Apparel and not forgetting the Harry Potter Shop! These and more can be found in the new Western Concourse at King’s Cross Station. Caledonian Road and Regent Quarter – a colourful area with a selection of diverse, quirky shops. Woburn Walk – attractive pedestrian street with cafés, bookshops and galleries. Bloomsbury – Leigh Street and Marchmont Street, bookshops, cafés and pubs. The Brunswick – shops, eateries and arthouse cinema in the famous, modernist centre.